The Gabriel Péri Foundation was set up in the initiative of the French Communist Party in July 22nd, 2004. It is recognized to be in the Public interests. The need for a meeting space in which to compare and support the emergence of reflections, useful proposals for the construction of Europe and a world of democracy and social progress. A political foundation is the structure, which corresponds best with these requirements. Its independence will allow an open reflection to all, and will not run up against partisan logic. 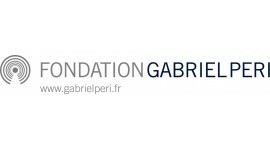 The Gabriel Peri Foundation gives itself these ambitions of rigour in the scientific exploitation of the files, open-minded meetings which are organized, and especially useful, to all those who are interested in the fight for human emancipation.